Q House Sandyford is an own door office scheme of 9,100 sq.m. (100,000 sq.ft.) containing 60 individual office suites overlooking a landscaped central courtyard. The design incorporates large elements of stone, glass and timber and it is widely regarded as one of Dublin's best out of town office developments winning awards for design and lighting. 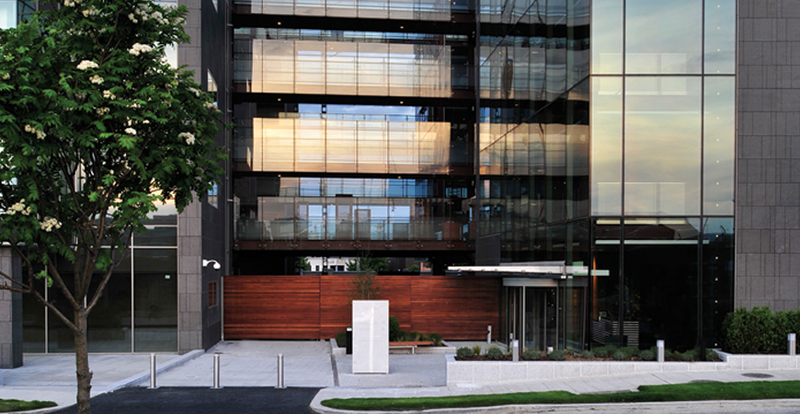 Completed in May 2008 Q House has outperformed all similar office developments in South Dublin with a 90% occupancy rate and has benefited from innovative asset management resulting in the lowest service charge in Sandyford. Occupiers include Grenke Leasing, Betfair, Insomnia, Skillsnet, Integrity Solutions, Lindt, ILGU, Home Instead Senior Care, Mondial Assistance, Prodigy Learning, Prospectus Management Consultants, Oceana Therapeutics, Irish Potato Marketing, GC Aesthetics, Phonecover, Bardis Music and The Department of Justice.